On Friday we try to do the same thing. 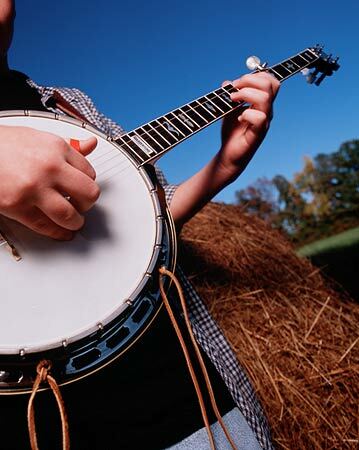 We bring you music that was made on the instruments that were around – banjo, mandolin and the fiddle. It’s the space which doesn’t get crowded out with other things that perhaps gives bluegrass it’s unique edge. There’s a courtesy in southern people and it’s there in this music: you don’t solo while someone else is and you back up the rhythm when you’re not centre stage. In it’s purest form it will be done around one mic and everyone will make sure they’ve got the right distance from it. If you want to hear more of that dobro then the dobro player just has to get a little closer to the microphone. We’ll have bluegrass from the originators and some from down right imposters – but it will all be good. Not only that but we recorded Alecia Nugent when she was in Glasgow playing at Celtic Connections and we have some of that concert for you on Friday. Look out for Alison Krauss, Bill Monroe, Del McCoury, Ralph Stanley and ….Dolly. 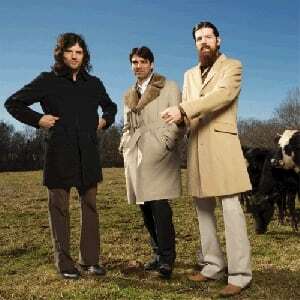 We may also surprise you with the Raconteurs, Furnace Mountain and The Avett Brothers. Good to see Dolly in there! I love bluegrass but I’m relatively uninitiated (other than Dolly’s output thanks to a live show a couple of years back and a little Alison Krauss)… so I’m expecting it to be a particularly expensive two hours of Another Country!